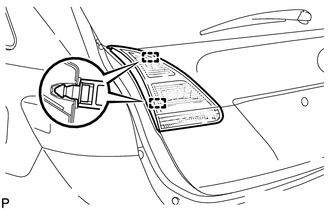 (a) Disconnect the connector from the rear light assembly. 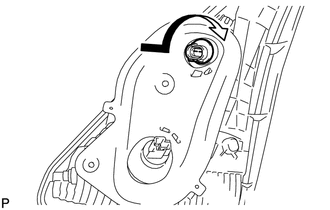 (a) Turn the tail light bulb and the tail light socket in the direction indicated by the arrow shown in the illustration and remove them as a unit. (b) Remove the tail light bulb from the tail light socket. 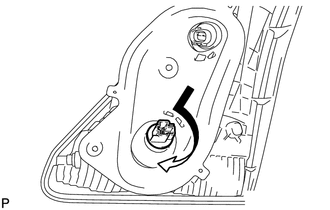 (a) Turn the back up light bulb and the back up light socket in the direction indicated by the arrow shown in the illustration and remove them as a unit. (b) Remove the back up light bulb from the back up light socket. (b) Remove the 2 nuts. (c) Disengage the 2 pins and remove the rear light assembly. 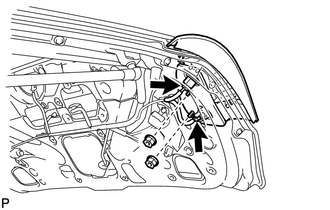 (a) Engage the 2 pins to install the rear light assembly. (b) Install the 2 nuts. (c) Connect the 2 connectors. (a) Install the back up light bulb to the back up light socket. 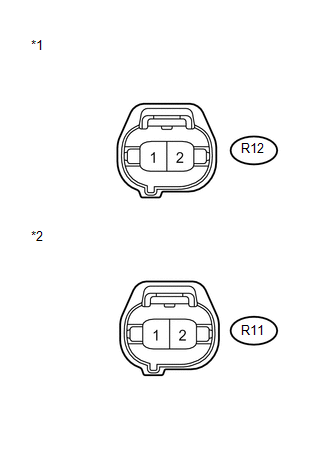 (b) Turn the back up light bulb to the back up light socket in the direction indicated by the arrow shown in the illustration to install them as a unit. 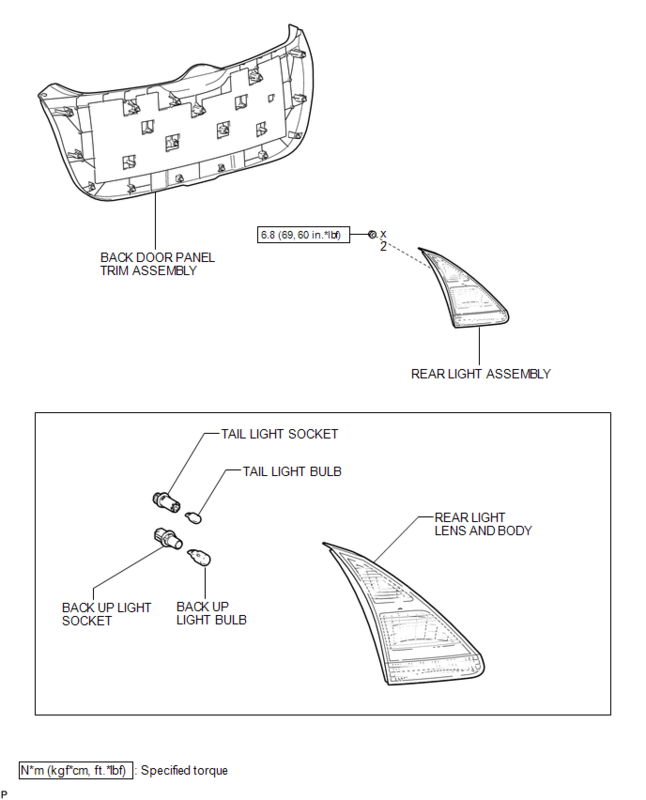 (a) Install the tail light bulb to the tail light socket. (b) Turn the tail light bulb to the tail light socket in the direction indicated by the arrow shown in the illustration to install them as a unit.